What is a Batch and how do I use it? 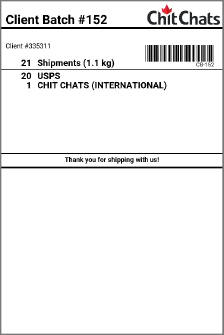 Final preparations to help ensure Chit Chats can receive your shipments with ease. When you have a group of 5 or more shipments* you want to drop off or have picked up by Chit Chats, you can add them to a batch to make it processing more efficient. 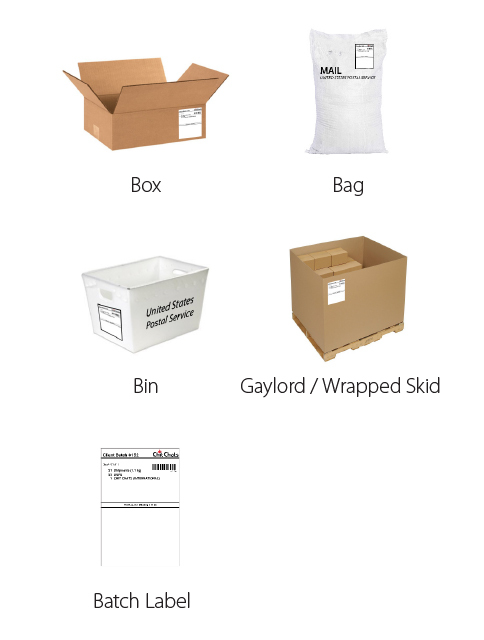 Creating batches allows you to print a label with one barcode that we can scan to update all shipments simultaneously. *If you are using one of our drop spots locations, all shipments must be batched. 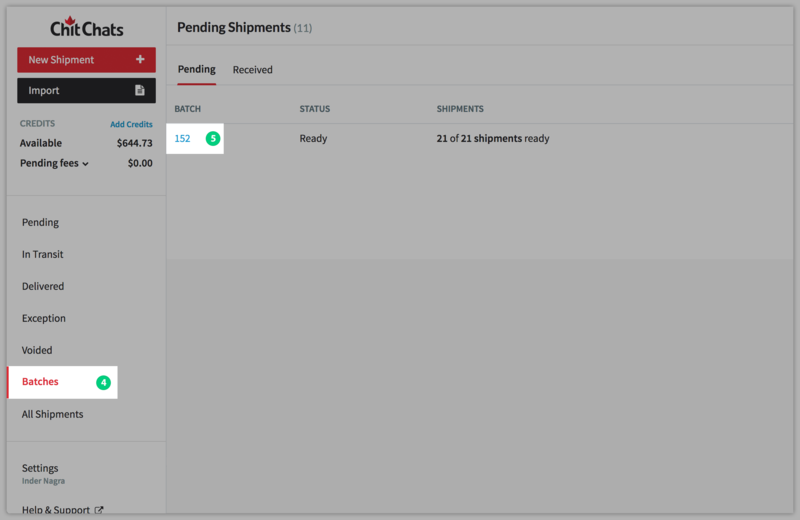 If you're using our import feature, you can select to add the shipments into a new or existing pending batch. Click "Batch" and select "Add to New Batch"
5. Click on the Batch Number (i.e: 152). This will bring up the batch you've just created. 6. 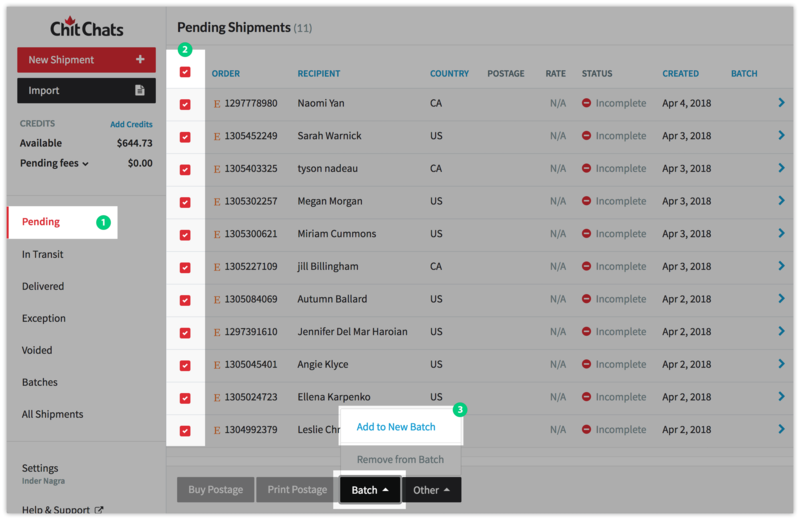 Click "Print Batch Label"
Ensure you have the correct number of shipments in your batch and different mail types are sorted before you get your shipments to us. 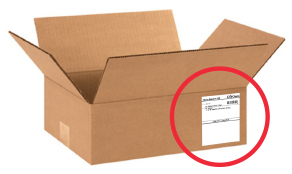 You can cross-reference your shipments with the number on the label. 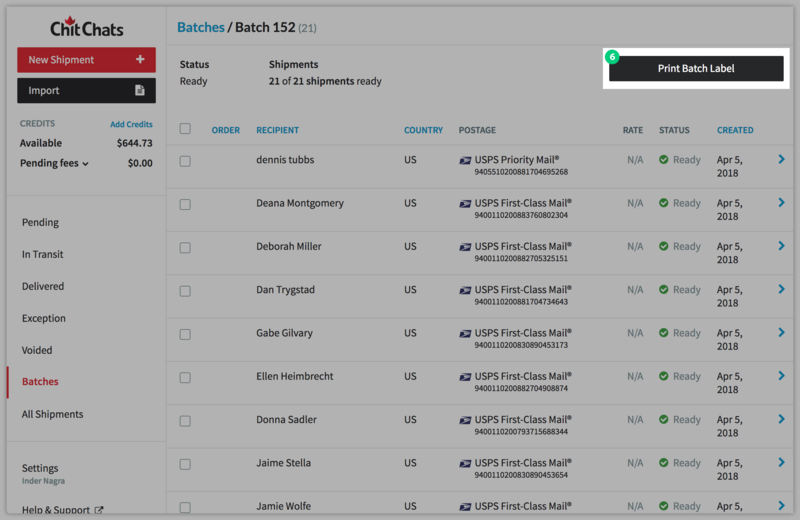 To make it easier for sorting, you can create a batch for each type of shipment (i.e: Canadian, Int'l Standard, USPS, Media Mail etc). Please be aware that batch discrepancies have the potential to delay your shipments. In some cases you may be asked to retrieve your batch and resolve any variances before your shipments can be processed.